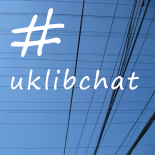 Want to get more involved in #uklibchat? #uklibchat summary – 10th December 2018: Wishes for your libraries and you! #uklibchat 10th December – Wishes for your library and YOU!